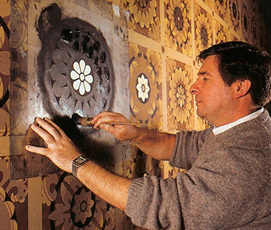 John Canning was trained and served his apprenticeship in the applied decorative arts as a church decorator after studying at the Scottish Decorative Trade Institute, Glasgow Stow College of Building, and Glasgow School of Art. During this time, John mastered the art of replicating Old World techniques and materials. The Canning family’s arrival in Connecticut in the early 1970s coincided with the beginning of historic preservation interest in the Northeast US. Historic Battell Chapel at Yale University was his first major church project here. The 70s also saw an increased appreciation for tradition in the Catholic church. National Landmark church properties became recognized for their historic value. 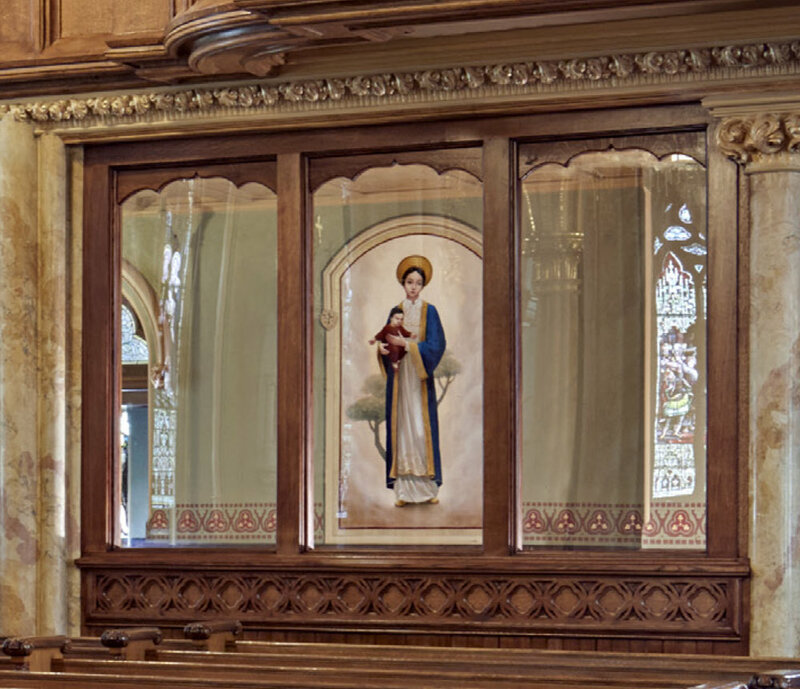 As maintenance issues and opportunities arose, clergy and congregations became interested in the restoration of historic interiors as important to the fabric of the community and its immigration history. Uncovering elaborate design schemes while performing an Historic Paint Analysis is one of the great joys of the CLA team. In cases where no conclusive evidence can be found, we put our extensive knowledge of the liturgy and sacred iconography to work creating new design schemes and color palettes fitting the historic period architectural style of the church. Today, CLA designers can help congregations embrace new groups of faithful immigrants attending historic churches by adding imagery related to their cultural traditions of worship. All new work follows the style and tradition set forth by the original design intent and is executed in the time-tested traditional materials with traditional methods.